We have an exciting year behind us. We are extremely happy with the national and international esteem gained by our beers. 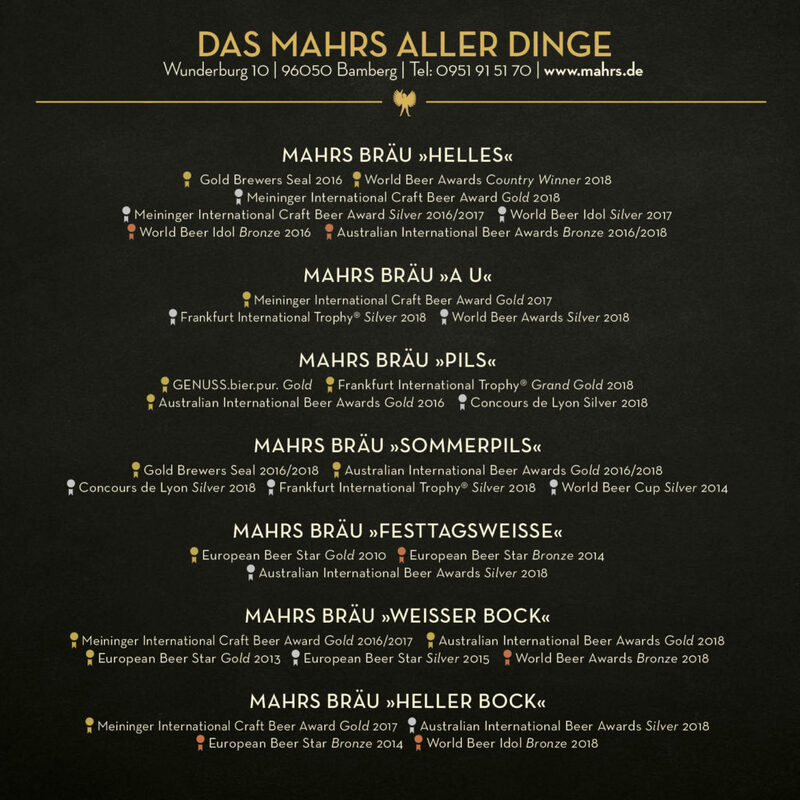 2018 was one of our most successful years since the establishment of Mahr’s Bräu. 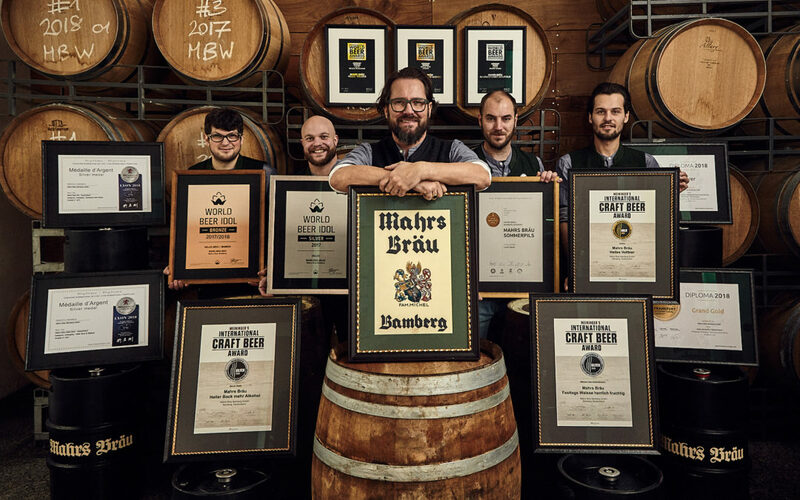 Sixteen international awards – five of them gold – were brought home to Wunderburg by our brewing team poised around Master Brewer André Kerling. This has set an example within Bamberg, a region renowned for culinary and drinking enjoyment. Our combination of respect for traditional heritage and creative thinking has made our beer what it is today.